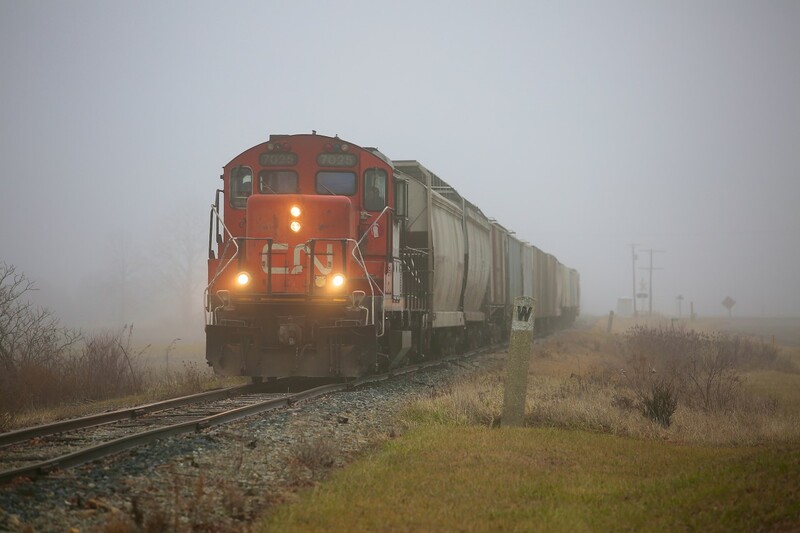 Railpictures.ca - Craig Allen Photo: After spending a foggy morning working Thompsons, 7025 heads back towards Chatham with a dozen or so cars trailing behind. | Railpictures.ca – Canadian Railway Photography – photographie ferroviaire Canadienne. Caption: After spending a foggy morning working Thompsons, 7025 heads back towards Chatham with a dozen or so cars trailing behind. Good to the CN Sarnia Spur still active. Neat shot with the fog Craig.